Packing your travel 1st aid kit can be quite an art. The travel 1st aid kit takes a bit more thought than your everyday home 1st aid kit due to space and weight constric­tions. You will have to carefully pick and choose what items to take. The trick is to make the kit as small as possible while also making sure you are best prepared for whatever 1st aid needs might arise. This requires that you choose remedies that have multiple uses. 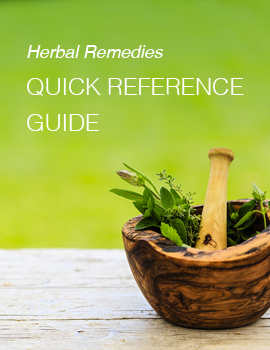 While the typical travel 1st aid kit on the market comes equipped with a few pharmaceutical remedies, there simply aren’t equivalents for herbal remedies for trips. By signing up, you will also receive valuable weekly articles and an occasional promotion. I'll ​never share your information. I'm here solely to support your herbal learning journey. When deciding what herbal remedies to put into your travel 1st aid kit, consider where you will be traveling to and what you’ll be doing. You’ll also need to consider what you’re prone to such as insomnia, digestive imbalances or allergies. Start by putting items in small plastic bags and take only a few pre-packaged bags of tea with you. Purchase the smallest dropper bottles you can find for tinctures as well as the small­est bottles of essential oils. To give you some ideas for a travel 1st aid kit, here are recommendations based on travel location and activities. Yarrow leaf powder – Yarrow is an excellent remedy to stop bleeding from open cuts or nose bleeds. It has the added benefit of being antimicrobial. Blackberry root tincture – The root of blackberry contains a high amount of tannins which are astringent. This is useful to counter diarrhea that is often experienced while traveling to places where gut bugs could be encountered. It can even be used for dysentery. Klosses liniment – This liniment is a powerful disinfectant to be used externally only. Use it for skin conditions that have open, oozy or infected wounds. This includes poison ivy, cuts, scratches, athletes foot and even staph infection. Learn how to make Klosses liniment by clicking here. Clay – Green or white (Kaolin) cosmetic grade clay is used to draw debris and impurities out of the skin including stings, slivers, acne, glass or cuts with dirt in the wound. Oatmeal – This is a soothing remedy for rash and other itchy conditions. Baking soda – This common kitchen ingredient is useful for insect bites, stings, poison ivy, and itchy rashes. It also combines with salt, sugar and/or lemon for a rehydrating drink. Klosses liniment – Klosses liniment should always be carried with you when traveling to tropical, humid locations. It is indispensible for keeping wounds from becoming septic and infected. See more information about Klosses liniment in the Summer Camping section above. Garlic – Garlic is a favorite herbal remedy for so many reasons. Include it in a tropical climate travel 1st aid kit due to its antimicrobial properties, in particular antibacterial, antiseptic and antifungal. Tea tree essential oil – Tea tree essential oil is used externally for insect bites, stings scratches, poison ivy, rashes, and burns. It’s a superior antifungal if there is a case of athlete’s foot. This is one of the few essential oils that be used neat, which means it doesn’t need to be diluted in a carrier oil. A drop or two can be placed directly on the skin. Blackberry root tincture – See the information for Blackberry root tincture in the Summer Camping section above. Mint tea – Mint tea is not only enjoyable to drink, but it has medicinal benefits as well. It’s one of the best remedies for nausea and any kind of digestive upset. It’s also energizing and helps with clear thinking. Spearmint or peppermint can be used interchangeably. Arnica gel/cream – This is the go to remedy for any bumps, bruises and injuries. It’s a topical anti-inflammatory for swelling, sprains or joint pain. Don’t be without this remedy for ski vacations or where there will be icy conditions. Echinacea tincture – Echinacea is a well-known remedy for cold, flu and upper-respiratory infections. It’s antibacterial and antiviral, increasing immune system function by boosting the white blood cells. As an added benefit it has a number of other uses such as for urinary tract infections as well as for skin infections, wounds, stings and bites. It’s great to start taking some Echinacea a few days before being on an airplane or being in a crowded space. Elderberry tincture – Elderberry has been proven to greatly reduce the effects of flu viruses. Start taking it at the first signs of symptoms. Throat coat tea – There is nothing worse than a sore throat to ruin a perfectly good trip. You can purchase pre-made Throat Coat tea from Traditional Medicinals or you can easily make your own, combining licorice root and marshmallow root. Garlic – Garlic has more uses than just about any other remedy. It stimulates the immune system, improves circulation and helps expel phlegm in the respiratory tract. Garlic is also antimicrobial including being antiviral, antibacterial, antiseptic and antifungal. Ginger is only second to garlic for 1st aid uses. It helps for colds and flu by being warming to the body, decongesting for lungs, soothing for sore throat, increasing circulation, and most importantly being antibacterial and antiviral. Other uses for ginger include aiding digestion, alleviating nausea, reducing inflammation in joints and helping with PMS. All of the above herbal remedies, except for the Klosses liniment, can be purchased at your local co-op or health food store. To learn how to make your own Klosses liniment, be sure to check out this video. To learn more about using herbal medicine, check out these online herbalism courses. ​By signing up, you will also receive valuable weekly articles and an occasional promotion. I'll ​never share your information. I'm here ​purely to support your herbal learning journey.